We scheduled an electrician to come over to the house today to take a look at our lighting. The lights are strangely dim in the entryway. We replaced the light bulbs so we figured it must be something bigger than we can tackle with our handy dandy Suzy homemaker tools. 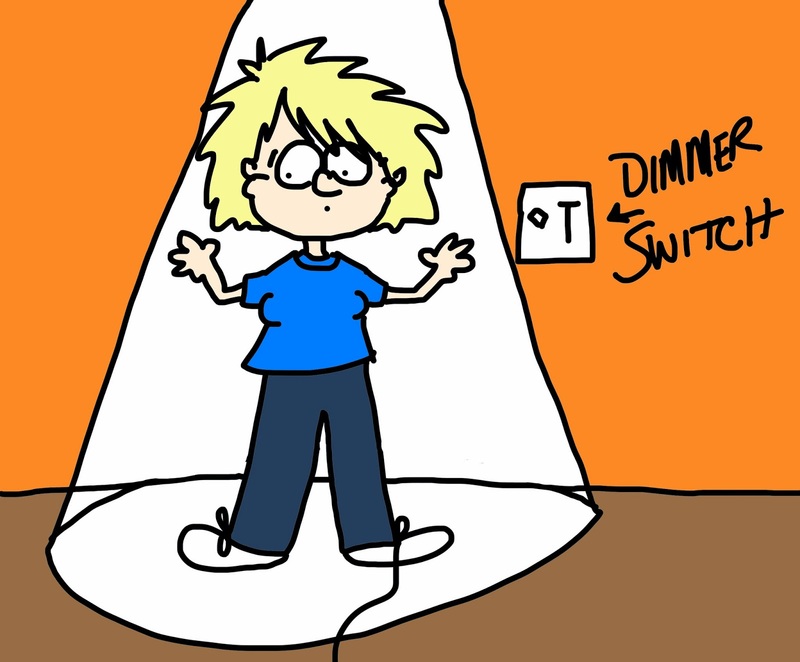 He took a look and said, "Did you try the dimmer switch?" Followed by a combined blank stare from us.